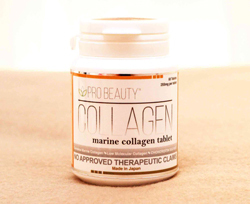 Collagen boosts up the absorption of the Amino Acid, Glycine and Proline that replenish the lean muscle mass. Smoothens fine lines, wrinkles and plump up the skin. Strengthens the nails and the shaft of the hair. Wound healing and prevents scarring. Acts as Anti-Ageing and Anti-Oxidant which improves skin elasticity and suppleness. 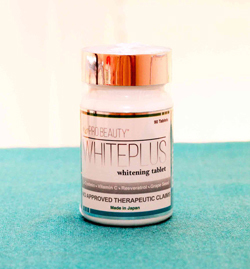 Contains Glutathione & L-Cystein for Skin Whitening and Anti-Aging. Resveratrol has strong Anti-oxidant and have heart-healthy benefits. Grape seed extract contains free radicals scavengers more powerful than Vitamin C & Vitamin E. Which makes skin resilient. Regulates and activates metabolism function of the skin. 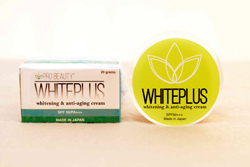 ProBeauty Whiteplus is an all in one cream that may be used as base make-up that lightens and moisturizes your skin. It also serves as a protection from the harsh sun. 100% all natural skin whitening cream that hydrates the skin. Helps prevent discolouration of the skin & freckles age spot. Protects skin from UV radiation. Smoothen fine lines and wrinkles for a natural smooth looking young skin. ZO Obagi products are also available.